Hiking the Grand Canyon - Compact Camera Choice? I plan on hiking the Grand Canyon rim to rim next spring. Weight and bulk are a big concern to I am most likely not going to bring my SLR. On the other hand my trusty Powershot A590IS seem a poor choice for the opportunities that I will see. Do you have any recommendations for a compact and inexpensive camera? I am cheap so anything over $300 is out. I had a G 10 that took some nice pictures. You can pick these up used fairly cheap , I had a camera holder for mine that went on your belt. I've been using the superzoom models over the past several year (SX10, SX30 and currently SX50 HS). These are wonderful for outdoors/landscapes. My back-up is a SX280 HS which is also outstanding for landscapes. EOS-M, as small as the compacts but with DSLR quality. Get it with the 22mm kit lens, it's worth the $300 alone just for that gem. The G10 is a good choice. 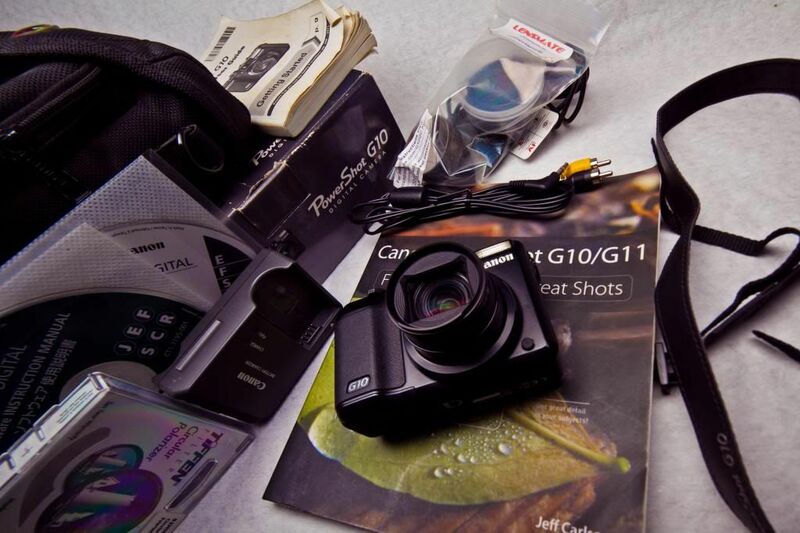 I will suggest the Sony RX100 first generation. I just got one from Best Buy for $249 and this thing is small and takes amazing pics. I was a big fan of the Lumix LX line and I own the LX3 and a new LX7. Both have given me some great shots, but the LX line is a bit bulkier and the Sony will actually fit into my front pocket. Just my two pennies worth. I really like my RX now that I've added a little rubberized grip to it as well. No extra bulk, but it feels secure in my hand. My sons & I have spent a lot of time inside Grand Canyon, most recently doing canyoneering trips in the marble canyon area of GCNP. These are multi-day backcountry trips where we weigh & vet almost every piece of gear that goes into our packs. I bought a G11 just for situations like this. My oldest son carries a Panasonic Lumix TS2 tough camera that I bought him one Christmas. He loves the ruggedness and waterproof features of the Lumix. I like I can still shoot RAW with the G11. My youngest son probably has it all figured out - he borrows MY camera I've lugged in when he see something he wants a picture of............ A friend just got the SX510HS (I think that's it) and likes the superzoom on it. or my website http://larrybunch.zenf​olio.com/canyoneering_​adventures to see the G11 pics. We also have each other's pics crossed-linked in our sites. Be safe, stay hydrated & carry some salty snacks, make sure you're shape, get an early start. We also spent a few summers as volunteers with the park service on the trails TRYING to help people from getting themselves into trouble on the trails. But enjoy the hike. Too many people just blow thru that trip without slowing down to appreciate the amazing place surrounding them. I backpacked the Grand Canyon quite a few years ago. You'll see some amazing views that most people just don't see from the rim. I took my 450D with a 50mm f1.8, and that was a light enough setup to work pretty well. I went to a camera shop and bought the absolute smallest waist pack that would fit that combo. Surprisingly, it doesn't take much space. These days, I would definitely recommend something like the EOS M. The EOS M with 22mm prime is a great piece of kit that fits in a very small package. It's slow to focus, but that doesn't matter when you are taking landscapes. Image quality and the magnesium build quality are top-notch. The smallest case I was able to find to fit the M with 22mm is a Lowepro Dashpoint 20. It's just big enough to fit the camera with lens mounted, and a spare battery/SD card (I wrap mine in a eyeglass microfiber slip case) in the bottom. The SL1 is another option if you are looking for a small DSLR, but make sure you pair it with a light lens, maybe the 40mm pancake. This would be slightly more expensive though. Be safe, stay hydrated & carry some salty snacks, make sure you're shape, get an early start.